That ‘back of the envelope’ calculation is incorrect, that feed line section operates with standing waves and the loss under standing waves must be evaluated. 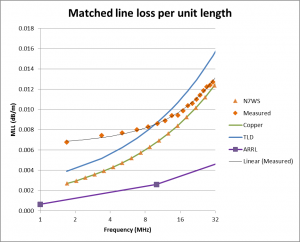 If we took the feed point impedance of the popular G5RV to be around 10-j340Ω at 3.6MHz, the expected loss in 10m of Wireman 553 with that load based on the above MLL is 3.3dB or 53%. 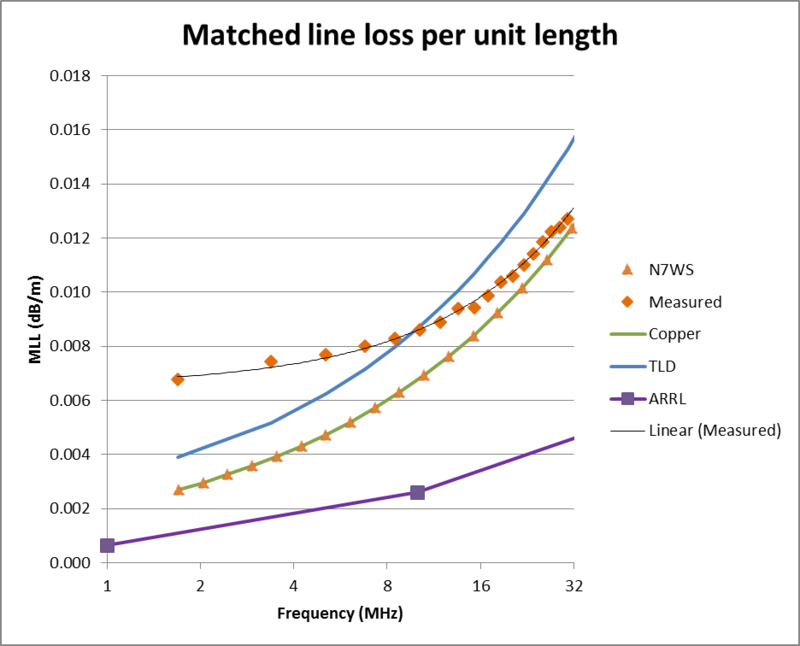 By way of contrast, my own G5RV uses 10m of home made open wire line using 2mm copper wires spaced 50mm and the loss is 0.9dB, 2.4dB less. Of course, that is only one component of loss in such a system, loss in the coax section of the hybrid feed configuration is usually signficant, and the combination could easily see the G5RV antenna system with efficiency of less that half that which was practically achievable. Make your own mind up about whether that matters to you.